In this article I will explore the benefits of probiotics, how they help you, and what foods they are in. What are probiotics and what are their benefits? Simply put, they are "good bacteria" that promote a healthy gut. This promotes good health in general. These live bacteria help your body digest your food and increase nutrient absorption.They reside in your digestive tract and make your large intestine & colon healthier. It also helps cure digestive problems incuding Irritable Bowel Syndrome and Ulcerative Colitis. They also fight off "bad bacteria". In fact, they are essential for keeping you healthy. Without them, you cannot absorb nutrients as well as you should. Probiotics affect mineral absorption and have a greater impact when combined with prebiotics (nondigestible vegetable matter). 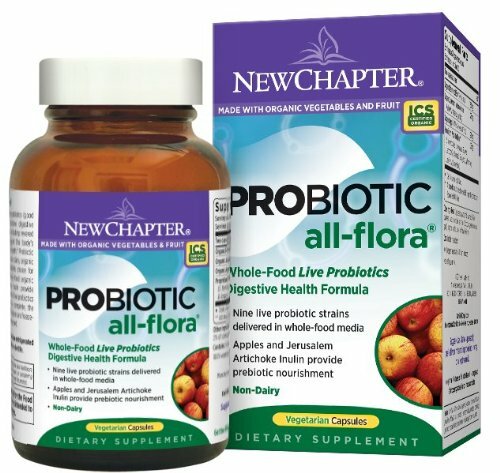 Why do you need probiotics? We barely get the healthy bacteria we need, and this has worsened our gut health to a very large degree. So now more than ever, we need probiotics the most. The most common source of your healthy germs that you might know of is yogurt. Kefir, kimchi , sauerkraut and kombucha are also great sources. Sometimes, this may not be enough though. Also note that all of these are foods that require an acquired taste. If you haven't tried these foods before you might have a hard time enjoying it. Also, they might not be the best option for people who don't really have the time to make it themselves, because they're expensive to buy. This is where probiotic supplements come in. These supplements can come in handy especially in situations when you feel sick, because they will help you fight off the sickness. For people that get sick often, supplements might be the most useful because a healthy gut has endless benefits. If you do find supplements, look for different strains. The probiotics that generally contain the most benefits are Lactobacillus acidophilus, Bifidobacterium longum, and Lactobacillus rhamnosus. All of these strains and more can be found in this supplement here . It's great because it's an easy way to get all of the benefits of each supplement in one little pill. If you don't want to buy a supplement, you can just get it from different foods. Lactobacillus acidophilus is contained in yogurt and other dairy foods. Bifidobacterium longum can also be found in the same types of foods. Lactobacillus rhamnosus can be found in cheese and supplements. Of course any type of probiotic is great for your health. It is better to have some than none, and I would strongly recommend that you try to obtain them.